In the BOE of November 18, 2017, Order HFP / 1106/2017, of November 16, was published, modifying Order EHA / 3127/2009, of November 10, which modifies, among others, the Model 347, which establishes a different period of presentation of the Annual Declaration of operations with third parties, and must be submitted for this year 2018 between January 1 and 31, 2019. 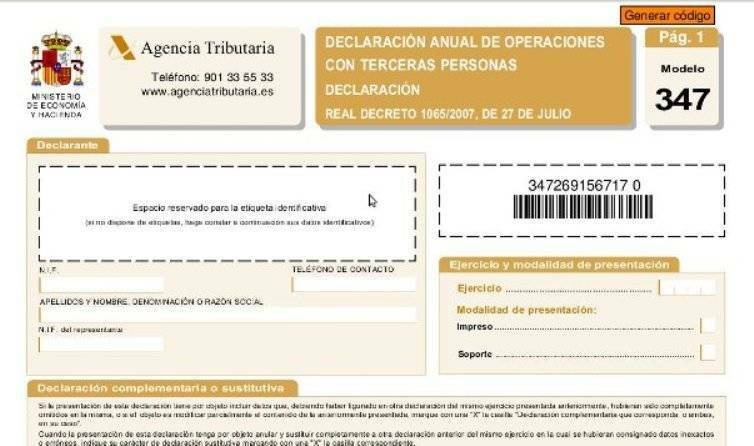 However, after the meetings held between the Federation of Autonomous ATA and the Spanish Federation of Tax Technicians and Tax Advisors (FETTAF) with the Treasury, the Ministry has decided to reverse and issue an order that will rectify the previous one. According to sources of the negotiation this order that allows to present the declaration 347 in February of 2019 would be already written and pending of its publication in the BOE.